Abstract: Airwheel electric scooter has played multiple roles in people’s daily life, covering many aspects of people’s daily life. By riding Airwheel electric scooter, riders can enjoy both convenience and entertainments. Truthfully, Airwheel is really a fruit of high-tech innovations that benefit human life a lot. Riders are firstly impressed by the special riding style of Airwheel electric scooters. Riding Airwheel self-balancing scooter is extremely entertaining and relaxing since riders are free from constant pedaling. Instead, Airwheel electric self-balancing scooter is easily controlled by physical movements. It is really interesting that riders control the scooter by back and forth leaning, and can regulate directions by adjusting postures slightly. So Airwheel electric scooter provides convenience for riders who are dealing with daily commuting. 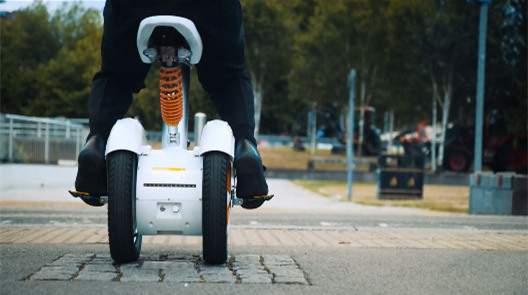 With more and more people take on Airwheel riding, they gradually realize other functions of Airwheel self-balancing electric scooters. And may people consider Airwheel scooter riding a way of entertainment. 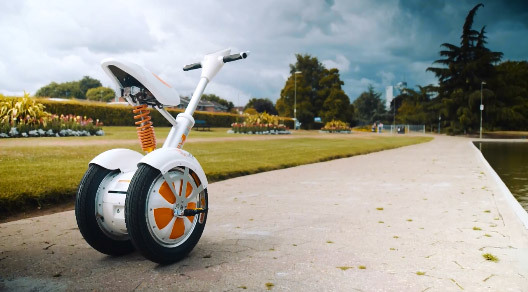 For instance, many young people will take s stroll by riding Airwheel electric self-balancing scooters with friends or relatives. And many young boys love playing with Airwheel electric scooters and they will exercise playing stunts on the single-wheeled self-balancing scooter. It is no exaggeration that Airwheel riding has become an indispensable part of people’s daily life for entertainment and pleasures. So it is unimaginable for riders to leave their favorite Airwheel electric scooters. Airwheel self-balancing scooter can not only satisfy the needs of short-distance commuting, but also can complete long-distance travels a lot. The new released A3 electric scooter is an good example. A3 is the first and only type of Airwheel electric scooter that supports sitting-posture riding. Compared with other Airwheel electric scooters, the sitting posture style shares some resemblances with traditional electric scooters in the market; however, Airwheel A3 differentiates itself from traditional electric scooters through its unique design style, high-tech innovations as well as optimized protection mechanism. The invention of Airwheel A3 symbolize the trend of Airwheel’s transitions from a niche alternative transport to mainstream transports. Moreover, Airwheel electric self-balancing scooter is more and more featured by practical utilities which can play an important role in certain situations. The Airwheel S5 two-wheeled electric scooter is a good example. The Airwheel S5 scooter has the capacity to deal with wild riding needs and is well recognized for its practical utilities.